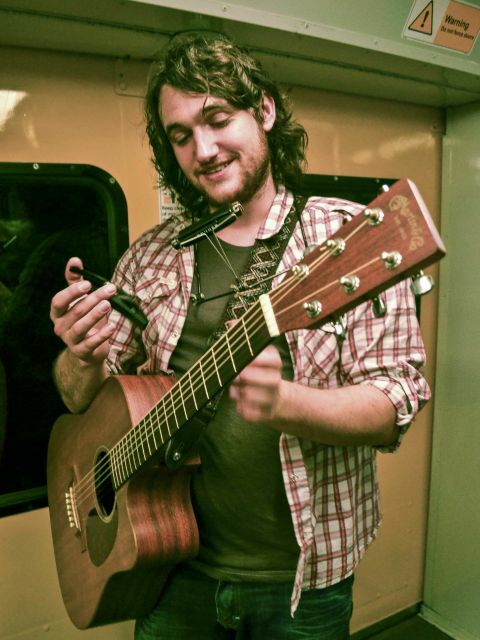 Daniel Allars is a story telling Country/Folk singer from the Central Coast who has been singing and performing in Pubs and clubs from England to Australia since he was 15. His love for music, playing by the camp fire and traveling in a kombie van has created rustic storytelling style with a raw sound. Over a year ago Daniel was joined on violin by the amazing talented, Archie Petrie, a superb improvisor and very recently by more fellow Central Coast musicians, Cameron Warden on bass and Jonah Manuao on drums, who together form a very tight backline. Thus was born Daniel Allars and The Back Row, a band with a new raw rolling sound.